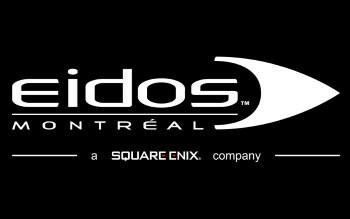 Square Enix has confirmed that Thief studio Eidos Montreal has been hit with layoffs. Eidos Montreal has cut 27 employees from its roster, less than two weeks after the launch of Thief, the reboot of the famed stealth franchise. Prior to the layoffs, according to its Wikipedia entry, the studio had a headcount of roughly 500. "Yes it is true we've let 27 people go today, unfortunately it's something that every major studio has to do sometimes in order to ensure you have the right set up for current and future projects," parent company Square Enix said in a statement. "It's never a nice thing to do but we are genuinely trying to offer as much support as much as we can. We're trying to re-locate as many people as possible into other roles here or at our other studios and we've been in touch [with] several studios in Montreal to arrange a career day for those affected by this. We're very thankful for all their hard work and we sincerely wish them well." The 2011 release Deus Ex: Human Revolution was a hit for the studio but most reviewers haven't been terribly enthusiastic about Thief. The Escapist's Justin Clouse scored it a 3/5, describing it as "a mess" and saying, "If you were hoping for a worthy successor to the Thief franchise, this isn't it."